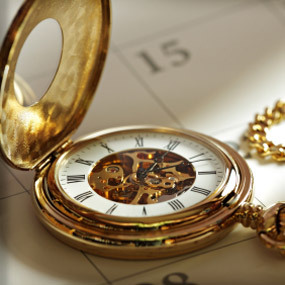 Most of us adjusted our clocks to keep up with The Changing of the Clocks: Daylight Saving Time (“Daylight Time”). And the world keeps on turning. If the yearly changing of clocks is important for the economy and for the normal operation of living, we can be aware of what a big deal it really is. However, it is a small instance in our being involved in rite, ritual, and myth. Ritual plays such an important role in the life of an aware human, and knowledge of ritual and mythology makes us aware of the bond that unites us all to one another. If you need to delve into this “myth thing,” read and study Frazer, Frye, Eliade, Wheelwright; then worlds open up reading Jung, Milton, Whitman, and Joyce. There is no end to discovering, to making connections, to becoming aware of how contemporary faiths and practices are united with/by “archaic” realities. And in the widest range possible, “faiths and practices” can even include setting back or ahead a timepiece or the Dashboard Clock. How I do something or how I am told to do something is RITE: How to color Easter eggs. 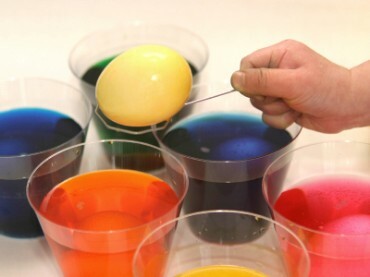 The actual coloring is the Annual RITUAL, including hiding the eggs, making baskets, and making chocolate disappear. A MYTH is a narrative and an expression of ultimate reality, a statement of value: “I believe this.” Even if it’s an Easter Bunny, the Paschal Lamb, or Passover . . . or changing the time. We express, “We believe,” then act accordingly as those who have done before us from the beginning. From here, we go to see the timepiece, the clock, as more than a time change but rather as a renewal of and re-living the myth: spring (or autumn). And all that spring announces, like dawn or birth or green (however, after the snow is finally gone), or revival, defeat of darkness of winter (resurrection?). Living a MYTH implies a genuinely religious experience. We live it ceremonially or by performing the ritual: Easter bonnets, those Easter Parades (any parade!). In one way or another, we “live” the myth in the sense that we are “seized by the sacred, exalting power of the events recollected or re-enacted” (Mircea Eliade). All those little things we do at this time of the year, “religious” or sacred or “profane,” take us on that journey of awareness, that ritual of discovery of our origins and of who we are: humans. It’s no big deal, just a clock and egg and a bunny and a . . . .